Bernard Hopkins, 46 years old, will be tested again in terms of his age by tomorrow night against the young boxing star Chad Dawson. Hopkins will be defending for the first time his WBC Light Heavyweight belt, 12 rounds, at the Staples Center, Los Angeles, California, USA. 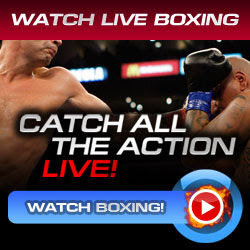 Chad Dawson, 29, is the former WBC light heavyweight title holder but defeated last year by Jean Pascal via technical decision victory due to an accidental headbutt in the 11th-round. Then Dawson back on last May 21, 2011. He fought the Romanian boxer Adrian Diaconu and won via unanimous decision victory. After 4 months since Pascal won over Dawson, Bernard Hopkins challenged the champion. Hopkins clearly won that fight but the ending it was declared as a majority draw due to the two judges scoring 114-114 and 113-113, and the one 114-112 to Hopkins. After the controversial fight, Hopkins vs Pascal was scheduled to rematch as the order of the chairman of WBC Jose Sulaiman. Finally, Bernard Hopkins defeated the champion and declared the oldest man in the history of sports who won a big title. Tonight, Bernard Hopkins will be tested as he weighed yesterday 173.4 pounds against the dangerous fighter Chad Dawson who weighed 174.2 pounds yesterday. You can sing-up and watch live here. or Visit Free Satellite TV for PC.